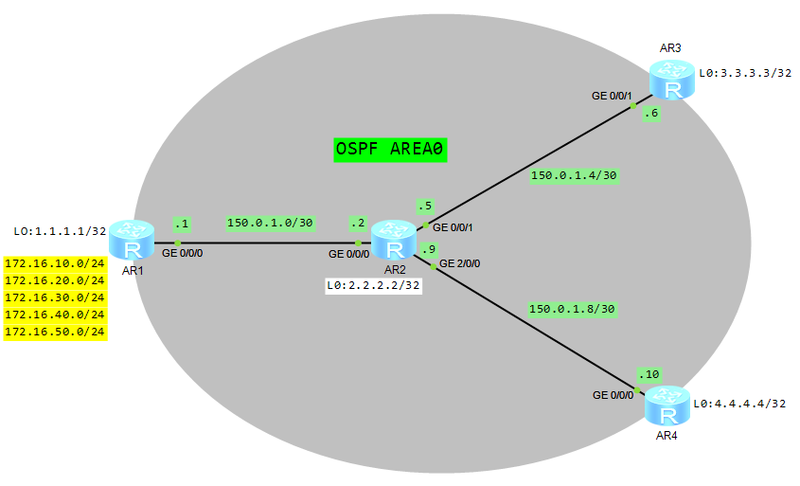 As you can see, all static routes imported to OSPF are available as O_ASE. Now we can filter routes advertised by AR1 router. Only three routes will be advertised: 172.16.10.0/24, 172.16.20.0/24 and 172.16.30.0/24. From the output you can noticed that only three routes are advertised by AR1. Now configure filter-policy for routes received by AR3. As you can see only one route is received by AR3. So filter-policy works correctly. AR4 router still receives all three routes.